Moles need to be cleared for many reasons and here are just a few. The tunnel systems are often extensive disturbing roots and undermining the areas they are working in, this can cause areas of subsidence which are often irreversible! 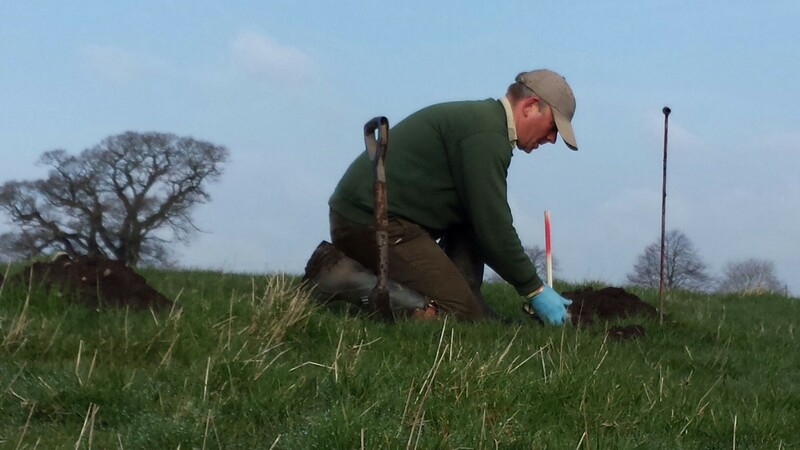 Mole activity can cause Listeria in cattle and sheep because of contaminated soil in the silage and grazing ground. 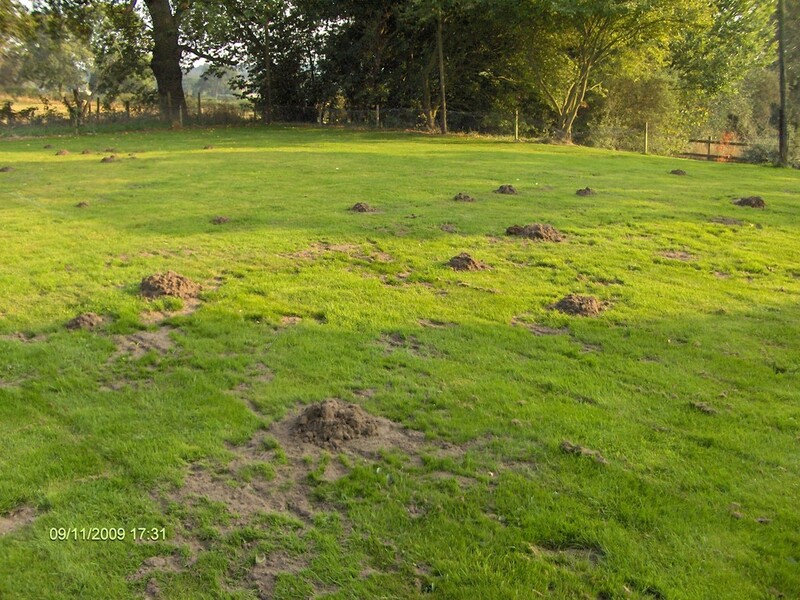 Stones are brought to the surface along with the Molehills creating a hazard for lawn mowers and farm machinery. The hills and tunnel systems can be hazardous to farm animals, horses and people as they fall in the tunnels or over the hills. 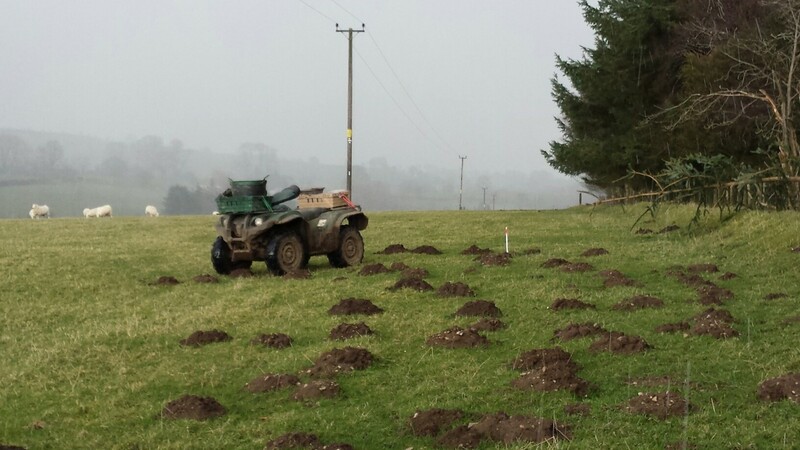 Dealing with Moles quickly and effectively can help to minimise or stop the problems before they start. Saving your lawn, play area, grass land or crops. 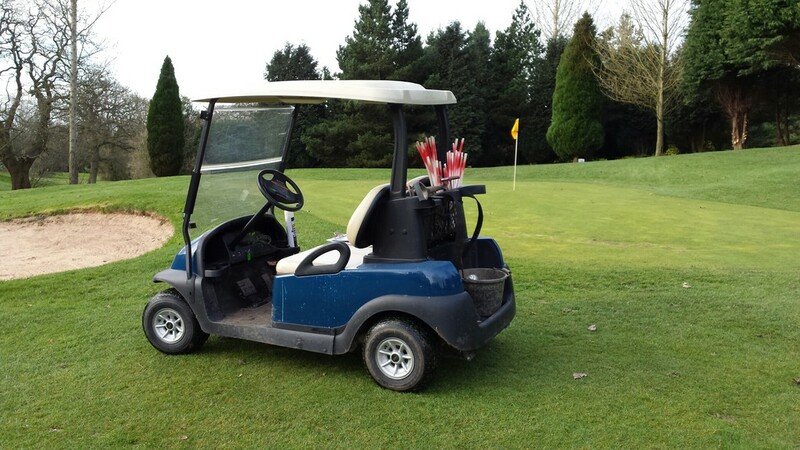 Based near Shrewsbury North Shropshire, the areas covered include Shrewsbury, Oswestry, Wem, Ellesmere, Baschurch, Bomere Heath, Wellington, Telford, Roddington, Edgmond , Newport, Whitchurch, Malpas, Nantwich, and surrounding areas. 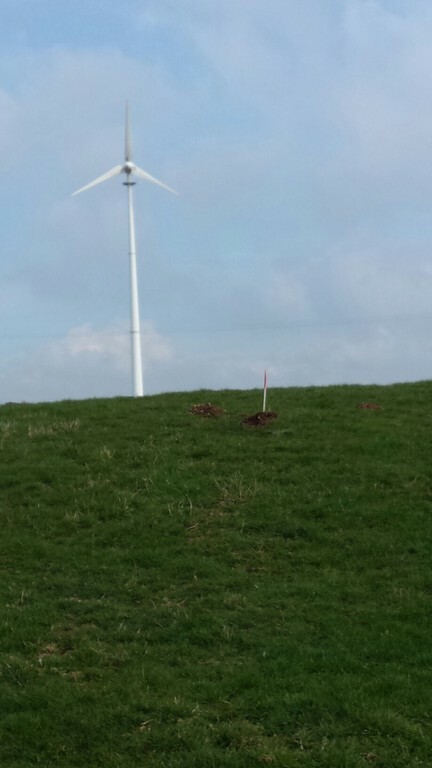 Along with North Shropshire and Powys Welsh Borders. 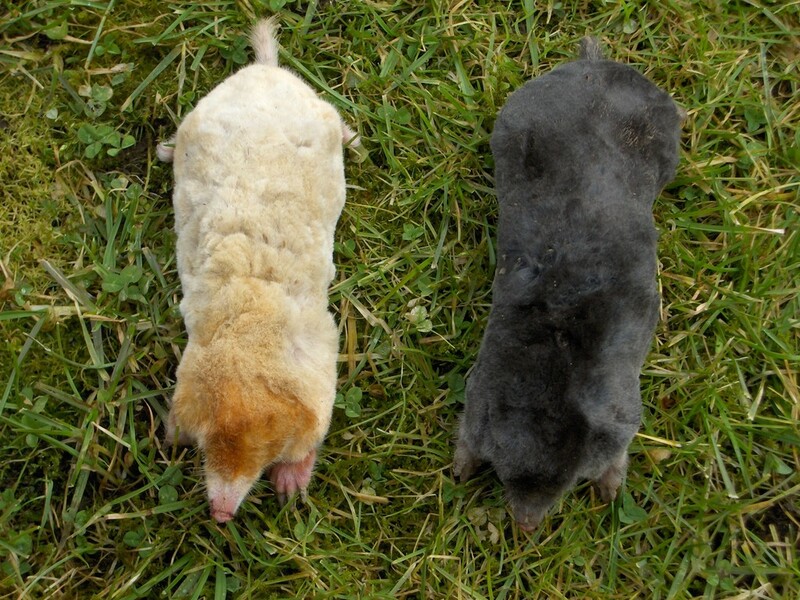 Get in touch now for a no obligation chat and deal with your Mole problem today! 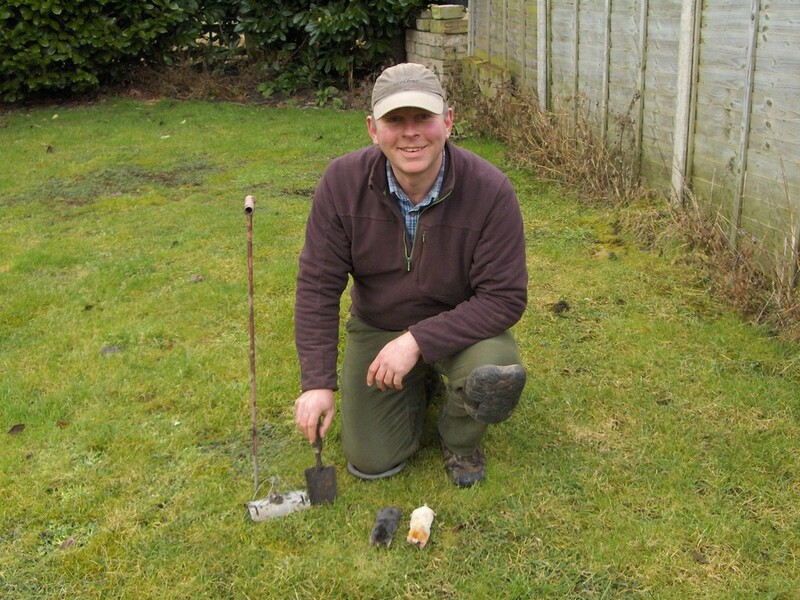 Shropshire Mole Control is a local, fast, professional, and low cost service for those with a mole problem. 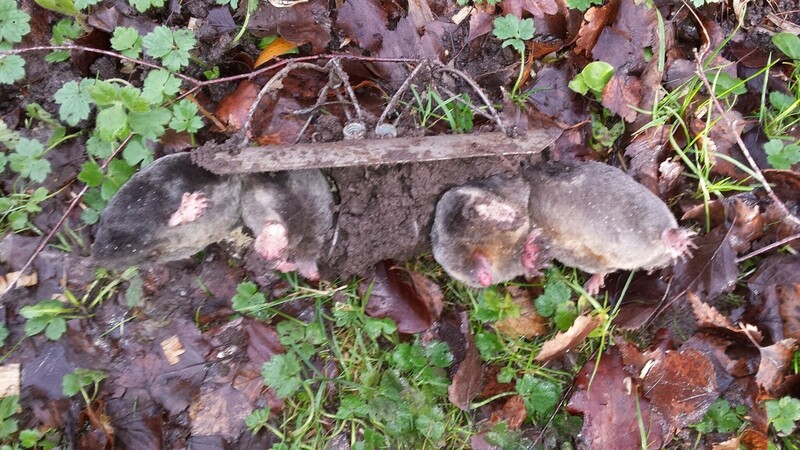 NO MOLE CAUGHT ~ NO FEE: If I can't catch it, then you don't pay! NO SITE SURVEY FEE: Many companies charge an initial fee just to survey the area and provide a quote. If you decide to call me then you will receive this service free of charge, and we I will fully explain to you the extent of the problem and the costs involved. SIMPLE PRICING: If you want to know the potential costs in advance, with no hidden extras and confusing pricing, then I fit the bill! ENVIRONMENTALLY FRIENDLY METHODS: No chemicals or gases are used in any of our methods. 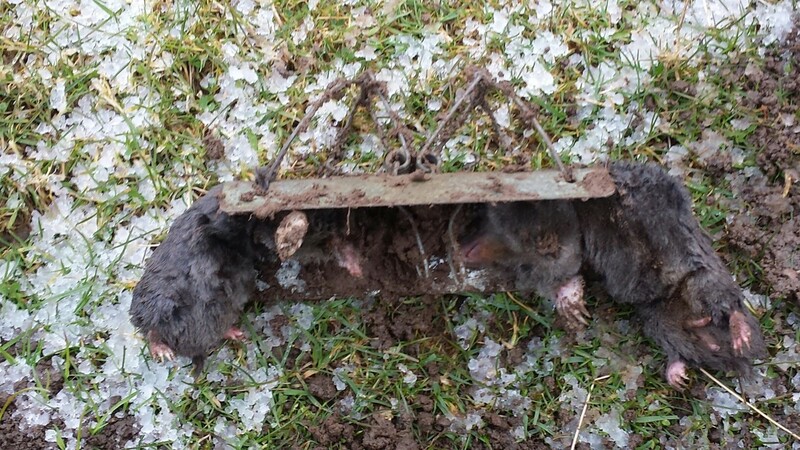 If it’s me you choose, then you can rest assured you'll receive a traditional Mole Trapping service that's kind to the environment, children and pets and livestock. 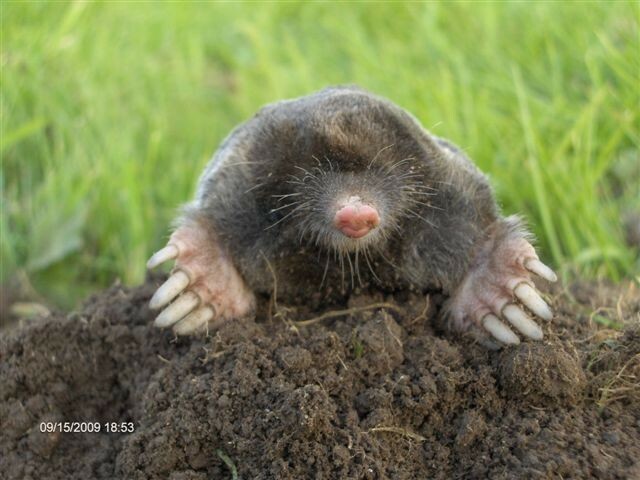 MY GUARANTEE: I guarantee to clear your mole problem quickly and at the lowest price possible! !